The Weston 30" Outdoor Propane Smoer will allow you to smoke your own vegetables, nuts, fish, meats and wild game. 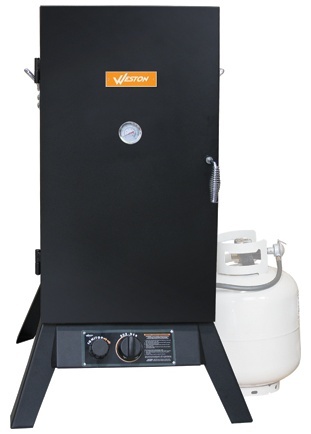 The Weston vertical smoker has a fully adjustable propane delivery system with 15,000 BTU burner and a rotary igniter for fast, easy startups. 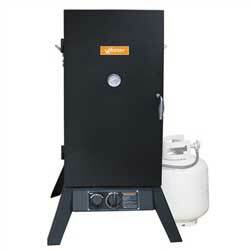 The smoker's internal temperature and smoke quality are maintained by 3 adjustable dampers. 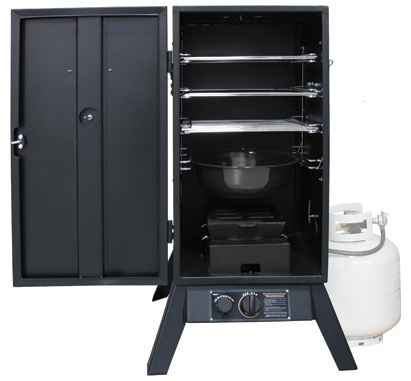 The smoker features a large porcelain-coated water bowl and cast iron wood chip/smoking box. Three 14 1/2in. chrome-plated cooking racks provide 1.8 cu. ft. of interior cooking space. I do enjoy the reddit/+ & sytesm, but I'm not quite sure for songs or mixtapes. By the way, are you the sole creator of songmeanings? I'm sure I could help with some of the development if needed!